Many people in the world are very interested in visiting Indonesia. Some sources even released that one of the islands in Indonesia called Bali is the most visited place in the world. In fact, there are so many other interesting places in Indonesia that are equally interesting from Bali. As we know that Indonesia consists of 34 provinces and has more than 18,000 islands. Of course in every province there are large, cool, and certainly busy big cities. Here are the list of famous Indonesian cities you must visit. Bali does have its own charm. One of Indonesia’s most beautiful cities located on the Island of the Gods is Ubud. 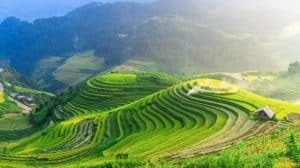 Ubud is a city with a rural atmosphere that is still very thick and beautiful views of rice fields. Ubud is also present as a center of culture and art in Bali. Therefore, it is only natural that the city of Ubud is the main destination when visiting Bali. You can find works by contemporary artists in Ubud and enjoy various exotic festivals, and enjoy soothing yoga sports. In addition, Ubud is a colorful Hindu preservation area and away from noise and parties, such as Kuta. 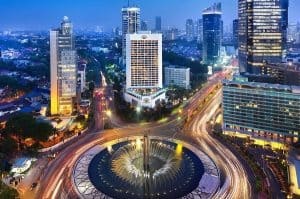 Apart from the extraordinary congestion, Jakarta as the capital of Indonesia has become a favorite tourism destination. This is because almost all Indonesian culture is here. Just visiting Taman Mini, tourists can explore the whole country. 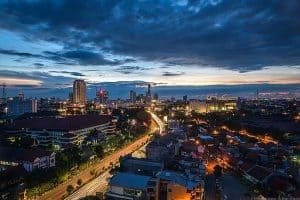 The city of Jakarta is one of the favorite destinations of foreign tourists because of its title as the capital of Indonesia which is also the center of business and government. Not surprisingly, many expatriates are happy to spend their time in Jakarta, before then following visiting other tourism cities such as Bali and Yogyakarta. Not only foreign tourists, the city of Jogja dominated as a favorite city for domestic tourists. This is not something surprising, because the city of Jogja itself has a variety of tourist attractions, both shopping and natural tourism. The city government of Jogja seemed to realize the tourism potential in this city. It is evidenced by the construction of facilities such as hotels and easily accessible transportation, such as TransJogja which has stops at the main points of tourism. If you only know the contents of Jogja are only limited to Malioboro, Prambanan Temple and Parangtritis beach, maybe you should go back to Jogja. You have to know that Jogja has dozens of beaches and natural attractions that you must visit. Along the underground cave, caving in Pindul Cave, or just trying out the beautiful panorama on ancient volcano, you must try it. 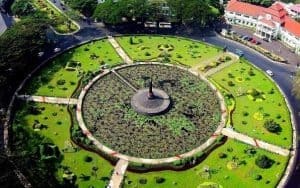 Surabaya is one of the famous cities in Indonesia because it is a big city on the island of Java closest to Bali. Therefore, from year to year foreign tourists visiting Surabaya are increasing. 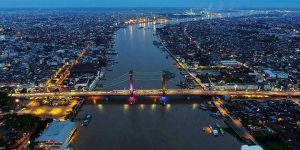 Visiting tourists to Surabaya has increased significantly in 2017. Until the end of 2017, the total number of tourists visiting Surabaya reached 24 million. Even though in 2016 there were only 19 million visitors. Of the 24 million tourists, 9.6 million of them are foreign tourists. Surabaya is one of the busiest areas in Indonesia because it has the largest port in eastern Indonesia. This hot-air city has five regions. Ambon is one of the cities in the eastern region of Indonesia. Ambon City is one of the most famous cities in Indonesia. Ambon became very famous for the beauty of the city. The city of Ambon is located on the coastline of the bay of Ambon, so it has a beautiful view of the beach. In Ambon, there are also hills that mix and match the sea and hills into a very beautiful landscape. The natural beauty of Ambon seems to fit the nickname that the city has: “Ambon Manise” which means sweet and beautiful Ambon. It is also one of the most developed cities in eastern Indonesia. 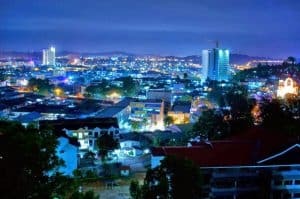 Ambon City, also known as a plural city, is also known as a port city, tourism, and also an education city in the eastern part of Indonesia. The city of Jayapura is the capital of Papua province. This is one of the most famous cities for its beauty in Indonesia. The island of Papua still has many areas of the forest. Moreover, the forests in Papua are also identical to their traditional tribes. 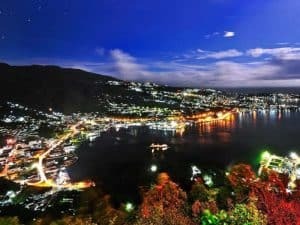 Although the population is still not too much, the city of Jayapura is one of the most beautiful cities in Indonesia. 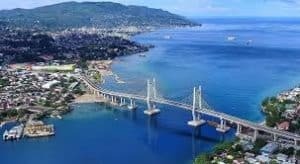 The city of Jayapura is located on the seafront or on the beach so that the center of the government is also located on the seafront. Because the city government center is on the edge of the beach, its natural beauty is very fascinating. 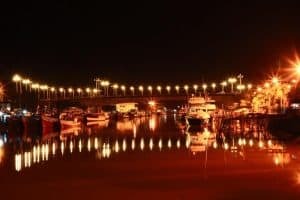 You can see beautiful lights with an incredible beach scene. The capital city of West Java, often called Paris van Java, is the best place for those of you who are happy with fashion and fashion. The cool weather combined with the bustling fashion outlets in the middle of the city and interesting tourist attractions make Bandung a tourist city that should not be missed. Usually, people of West Java and Jakarta will generally spend their weekends in Bandung. Having UNESCO’s Creative City title since 2015, Bandung has become a ‘home’ for creative entrepreneurs. Previously, Makassar might not be as popular as Yogyakarta or Bali. But now, Makassar has improved itself. 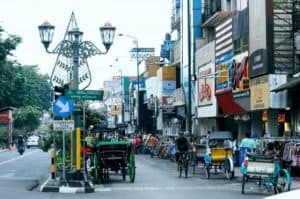 Various programs deliberately proclaimed by the government in order to realize the “friendly” Makassar city in various fields, including the tourism sector and government services to migrants there. 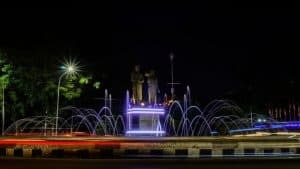 In addition, Makassar also routinely holds monthly festivals, improves tourism facilities, improves public transportation, and other supporting facilities. 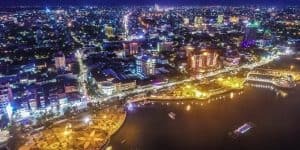 No wonder Makassar is one of the favorite tourist attractions of foreign tourists because the city government of Makassar itself is so concerned about the progress of the city. With the diversity of cultures and beautiful nature that the city of Medan has, it is no wonder that Medan is a favorite tourist destination for foreign tourists. As the examples; Lake Toba, Samosir Island, and the many beautiful beaches there becomes the favorite places. The role of the government is also greatly serious in working on the tourism sector, with the construction of the second largest international airport, named the Kualanamu airport. Cultural diversity that is still maintained also makes Medan so attractive to tourists. It is evidenced from the many unique and interesting worship buildings: Maimun Palace which is the Deli Sultanate palace, to Tjong A Fie’s House, the home of a rich merchant who was more than a century ago. Tjong A Fie’s house, which has Chinese architecture, is guaranteed to make you feel like you are in the Bamboo Curtain country. 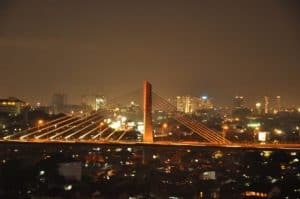 The city which is famous for its pempek and Ampera Bridge is the second largest city on the island of Sumatra after Medan. Palembang is also the capital of the Province of South Sumatra. 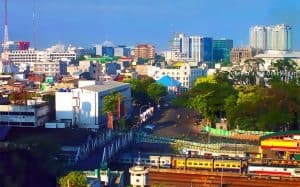 This city experienced glory in the 9th century which was the era of Srivijaya Kingdom rule. At that time the city became the largest center of trade and civilization in Southeast Asia. In addition, Palembang also has the second largest Sports complex in Indonesia after the Bung Karno Stadium in Senayan, Jakarta, namely Jakabaring Sport City which often also holds national and international sports events. Famous for its worldwide diving site, Bunaken, Manado has become one of the most beautiful tourist cities in Indonesia. 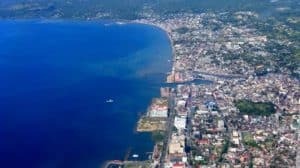 Once used as a fortified city by the Dutch in colonial times, the city bordering the Philippines was home to the traditions and culture of the Minahasa people. Unfortunately, most of Manado’s old buildings collapsed due to rebellion in the 50s. Even so, Manado still has the beauty left on its coast, Lake Tondano, and its exotic anti-mainstream market in Tomohon. Because Manado’s population is predominantly Christian, don’t be surprised if you find menus, such as pigs or dogs at local restaurants. Eastern Indonesia is a region which is famous for the sea is so clear and blue. One of the islands that is very famous for its beautiful sea is the island of Lombok. Lombok Island, there are a city that herb will be the beauty of the landscape. The city that is at the heart of the island of Lombok is Mataram, which is included in the top 10 cities in Indonesia that have sea views. In fact, for now Mataram has become a heavy rival for Bali in terms of foreign tourism visits. The beach that becomes the icon for the city of Mataram is Senggigi Beach. If visiting in this city we will get a lot of stunning natural scenery with a wide range of support facilities are very adequate. Tourists who come to this city will be truly spoiled by the existing facilities. Malang is one of the largest student cities in Indonesia besides Yogyakarta. That is because Malang has several excellent and cool universities. In addition, this city is also one of the most popular tourist destinations in Indonesia. Cold weather and beautiful natural charm make the Malang region (Malang City, Batu City and Malang Regency) a popular metropolitan area of tourism, plus a relatively low cost of living. In Malang you can visit several tourist attractions such as the Great Mosque of Malang, East Java Park 1 and 2 in Batu and of course there are many others. If you hear the name of this city, surely we will be imagined by ports and industries. Batam is one of the largest and most advanced industrial cities in Indonesia. Its strategic location, which is in the international trade route, makes Batam one of the most important port cities in Indonesia. Directly adjacent to Singapore and Malaysia, Batam is also one of the places that has the highest tourist attraction in Indonesia. The Batam Metropolitan Area itself includes Batam Island, Rempang, and Galang (Barelang). You can also continue to visit Malaysia or Singapore. Everyone is familiar with this city. Having a spirit of nomads and a strong determination, it makes the name of this city which is also the capital of the province of West Sumatra worldwide. Even Padang’s special food has gone worldwide and spread to all over the world. Even more interesting, rendang has been named by one of the international media “CNN” as the most delicious food in the world. Padang which is located on the west coast of Sumatra is one of the gates of Indonesia through the Indian Ocean. You can visit several tourist attractions here such as Taman Siti Nurbaya, Air Manis Beach and many others. After reading about all cities above, now you see that Indonesia is not just about Bali. There are still many other places that beautiful enough to visit. They could be next options for your holiday recommendation.